I once did a “What age are you really?” quiz online and got 64. It’s widely known that I can’t wait to be retired and a lunching lady of leisure – it may well be that my biggest ambition is to be a cantankerous old woman. 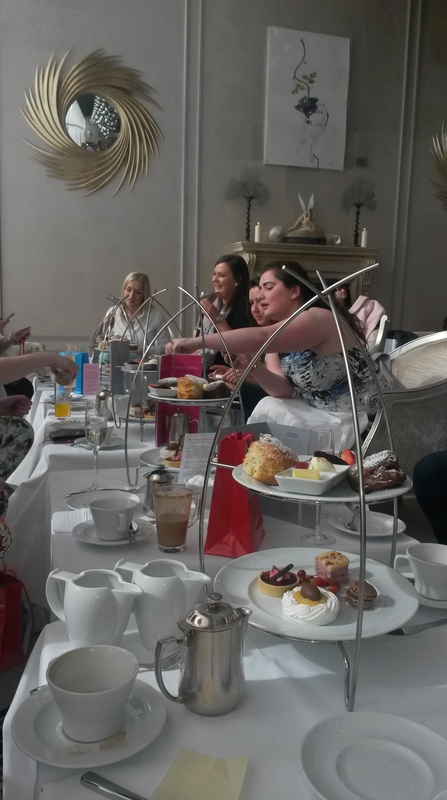 So it was with glee that I realised that the Into The West Blogging Network Meet Up (#ITWBN) was being held as an afternoon tea event in the glamorous G Hotel, Galway. 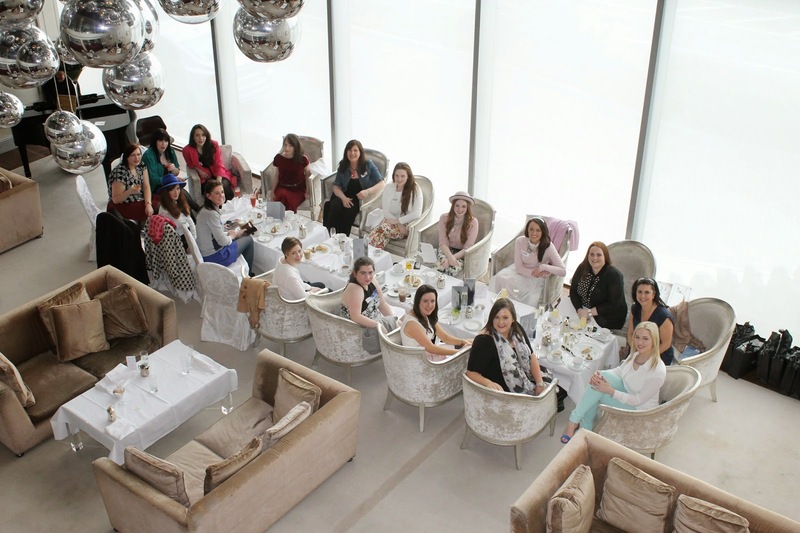 Organised by powerhouse blogger and stylist Yummy Mummy Sinead, it was a distinctly stylish affair with a plethora of lovely spring pastels and florals as well as darker hues adorning those assembled. I dug a velvet midi-dress out of the back of my wardrobe and hopped, skipped and hobbled to the hotel in a pair of platform sandals. Two proseccos and a daiquiri? Mine all MINE! Everyone was extremely chatty and friendly, perhaps bouyed a little by the delicious cocktails on offer (a really generously portioned strawberry daiquiri was my beverage of choice), and not one but two complimentary glasses of prosecco got the conversation flowing (my fabulous seat neighbour Ann was driving so generously gifted me hers). Thanks Ann! And to the nice peeps at the g for the polaroid! 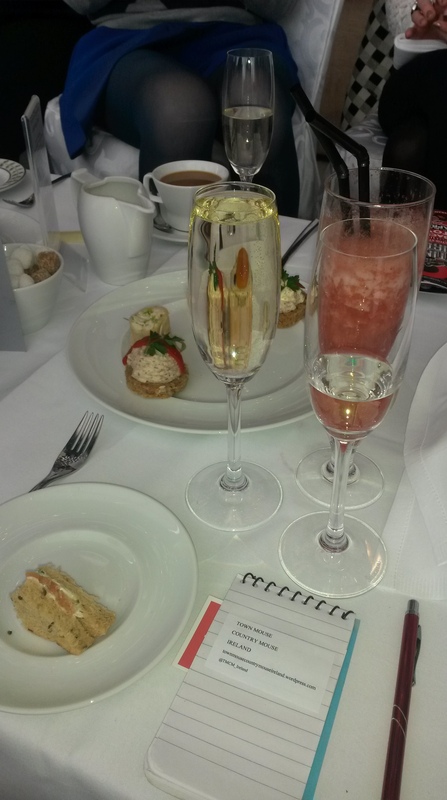 The afternoon tea package itself was delicious! There was plenty for everyone to share, and amazingly there were even some leftovers (although not on my plate). Just thinking about it now is sending me into a sugar-craving daydream… Anyway! It’s pricey enough but a very nice treat if there’s a birthday or celebration coming up and you want to deviate from the norm. Some of the attendees included both established and up and coming bloggers, plus a few faces eager to soak up some very gladly given tips on setting up a blog of their own in the future. The Publicity Loft provided us with a dinky little goody bag filled with delights (modelled by the gorgeous gals above), including a clever set of easy-application fake nails and some really cute glittery nail varnish which is still decorating the tips of my fingers as I type! The best smelling bag in all the land, thanks to the abundance of goodies! 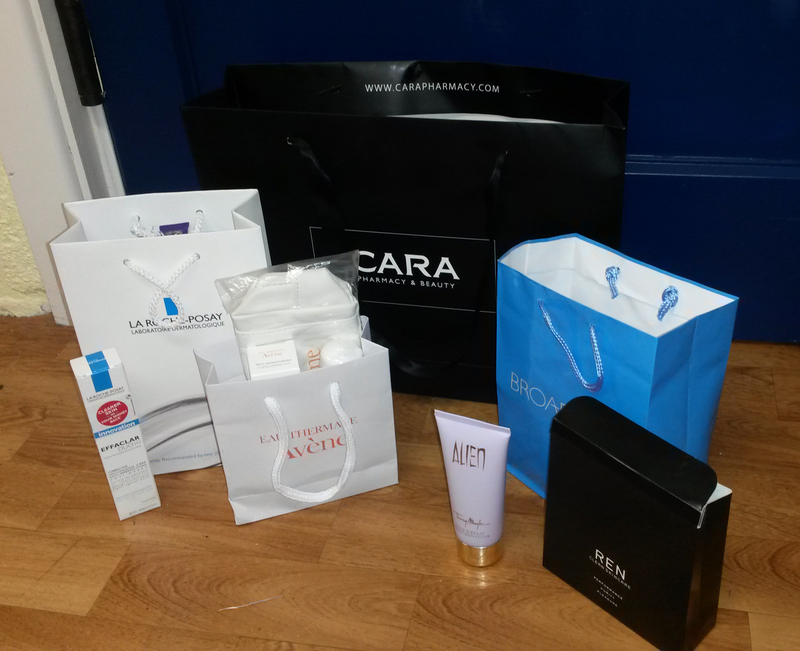 Cara Pharmacy also provided a gigantic and really impressive goody bag – I was over the moon to discover a La Roche Posay Effaclar Duo + tube in there, as my own is coming to an end and I love it for keeping blemishes at bay and leaving my complexion smoother than it’s been in years! Also love the Avéne skincare range, and I never realised how lovely the Thierry Mugler fragrance Alien is – have been lashing on the body lotion ever since! 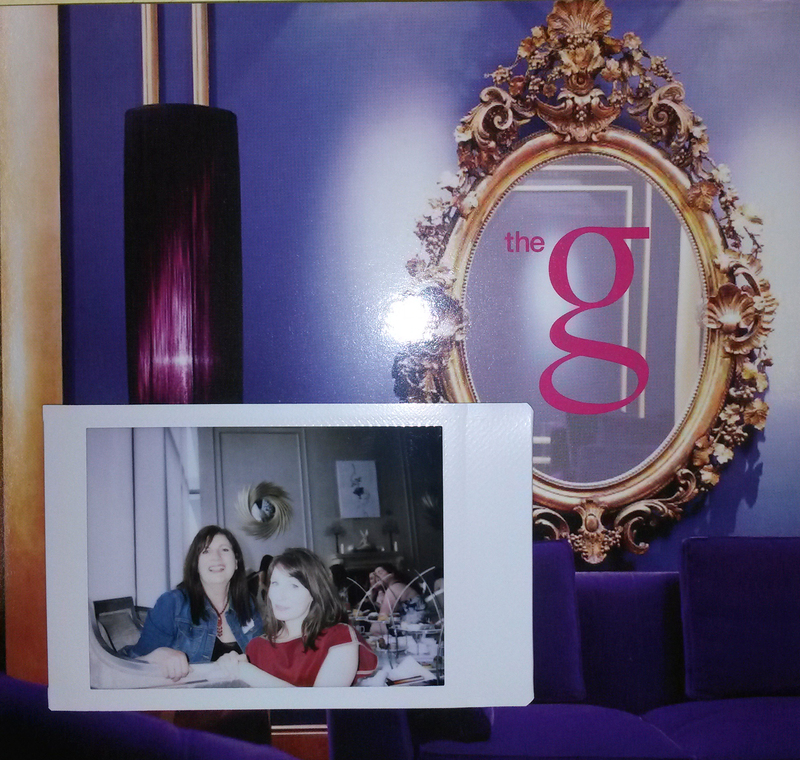 Rebecca and Sinead with our ‘g’ chocolate slabs! 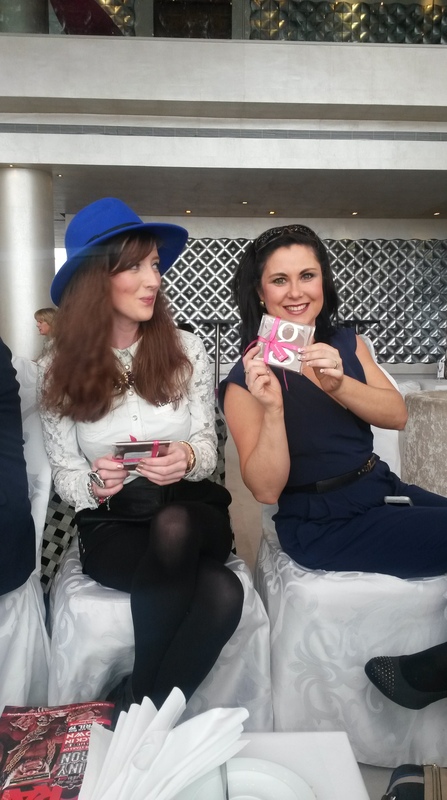 Rebecca of Bec Boop Fashionista was present, (who’s nominated in three categories in the Online Marketing in Galway awards – good luck Rebecca!) 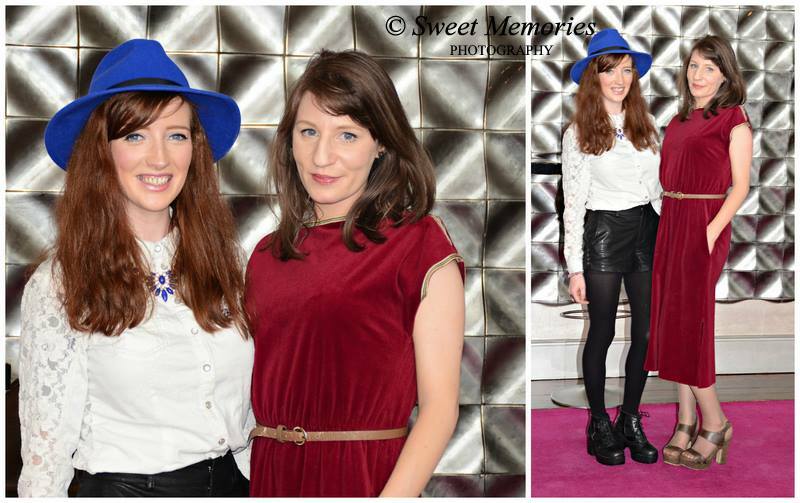 complimenting Sinead’s gorgeous navy jumpsuit with her royal blue hat. Innocent Illusion’s Seana was also there – I loved her springtime outfit of classic white top and printed pants combo. 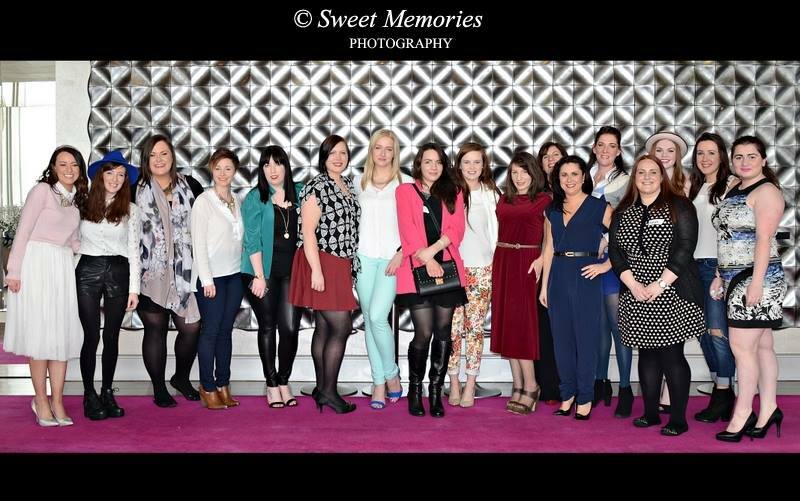 Luckily the very talented Danielle of Sweet Memories was on hand to snap us all in our finery – the one and only man in our number, apart from @GalwayHour and his lovely and very well behaved assistants, was the elusive Galway Player who deftly dodged any identity revealing photos. 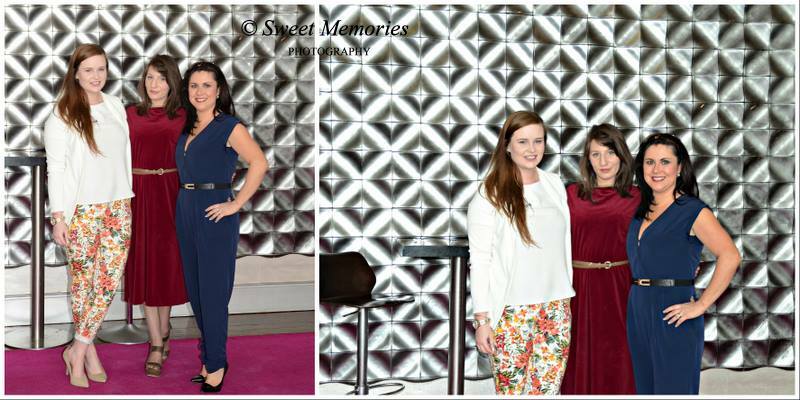 Thanks to Sinéad for once again displaying not only her wonderful hosting skills but her super style! 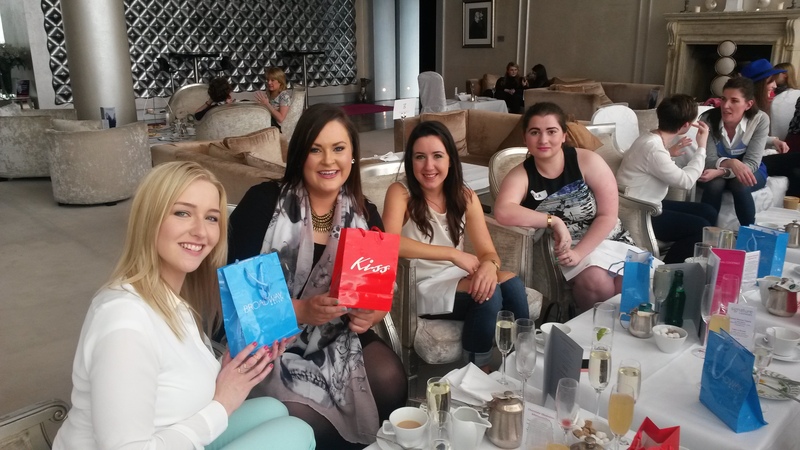 Thanks also to all the other bloggers for providing such entertaining company for the afternoon – check out the list below to add to your beauty and fashion tips arsenal!